A few months ago,, I was delighted to read about a new translation from Subramaniya Bharati’s poetry in the Caravan magazine. The excerpts of the poems translated by Usha Rajagopalan are strictly faithful to the original, and fleetingly evoke shades of the beauty of Bharati’s original verse. Like most children growing up in Chennai, I was force-fed Bharati’s poetry from the time I was about five years old, both in terms of verse and song. Exposed to so much of his poetry that was sung at school functions, taught in classical music classes, heard often over the Television and quoted in course of everyday conversations, I almost took his presence in my life for granted. It was only in my late teens while on vacation from Engineering College that I began to seriously read his poetry. I bought myself a compact version of his complete works and would dip into it from time to time, feeling inspired and soothed, pleased and enriched. This little book has since then remained on my desk, just within reach. Intensity is the word that comes to mind on reading Bharatiyar. His total absorption with nature, his fiery idealism, his deep sense of humanity, his love of the country, his vision for a free Nation, his philosophical musings on the concept of God and his exposition of the epics through his own verse – every word of it conveyed a passion and strength of the kind that perhaps is born only out of divine inspiration. Reading his love poems addressed to God as imagined as a friend, lover, husband, child, servant or teacher, one could feel how agape – the highest form of divine love flowed down into its various other expressions. I tried to watch the film on Bharati’s life four times over a period of several years before I was able to see it completely. For the first three times, I was unable to sit through it to the end. I did not think that I could bear to see the great poet pass away at the age of thirty eight, after he was attacked by an elephant in a temple. Finally I braced myself to watch it and to my surprise, I did not cry when he passed. For it is poets who pass away. How can poetry die? 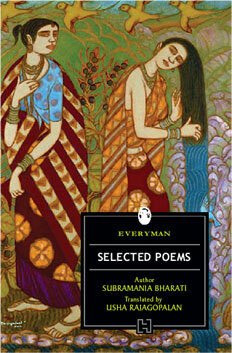 And Bharatiyar was not just a poet, he was and remains poetry personified. The film is a work of art and beautifully showcases the life of the poet, bringing out his idealistic, progressive and unconventional life and his genius which sometimes bordered on the edge of madness. 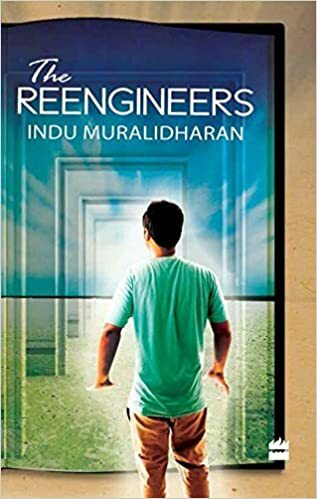 I do not plan to read the translation anytime soon, having access to the original work written in my native Tamil. But in this early morning hour as soon as I finish writing this, I will reach out for my book of Bharati’s original verse in sweet Tamil, and dip into it again for a few minutes as one does into a cool stream of thoughts, and rise refreshed and re-inspired. This song from the movie which is one of the popular philosophical poems of the poet gives me goosebumps every time I listen to it. My translation of the first two stanzas, quoted in my novel. Are you all dreams, deceptions that within the mind abound? Are those illusions too, can their real meaning be found? Are these tangible or fragments of thought streams? The past is buried, gone like a dream, does that make me a dream too?